THE EASTERN Curve Garden in Dalston has been saved. The multimillion-pound redevelopment of the adjacent Kingsland Shopping Centre that threatened the future of the popular venue has been withdrawn. An attempt will now be made to put the garden beyond the reach of property developers. The scheme’s proposer, Criterion Capital, is no longer pushing its plan for open space among high-rise buildings, shops, almost 400-plus flats and underground parking to replace the ugly mall, its interior dominated by a large Sainsbury’s supermarket, and badly arranged entrance a car park. Criterion’s architect, Andrew Waugh, of Waugh Thistleton in Shoreditch, is being asked to tweak his design for the “urban quarter”. Asset-management company Criterion spent thousands trying to massage public and council opinion, but found it difficult to counter the opposition of the garden operators and the campaigners Open Dalston and Dalston Futures. Behind the scenes, Sainsbury’s was expressing worries at the prospect of years of dusty, noisy building work on the scheme, first mooted early in 2011. 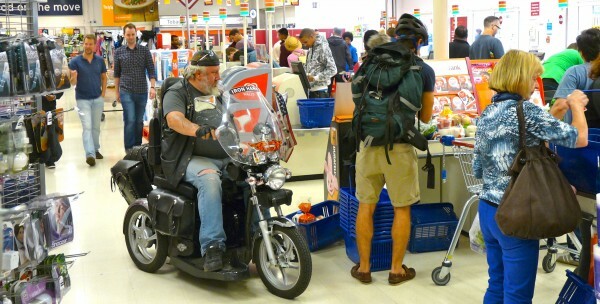 The leading supermarket was objecting also to the car-parking ban demanded by some Hackney councillors. Criterion development head Michael Hughes insisted to Loving Dalston that the plan was merely being reworked. But will that satisfy Sainsbury’s, which well knows its value to a mall scheme? Dalston Futures organiser John Page said that the Kingsland site offered an opportunity for new shops, jobs and a lot of housing. The proposal had failed because, he added, “it ignored the local community’s wishes on affordable and social housing, the retention of the Eastern Curve Garden and how the scheme would interact with Ridley Road Market. The garden and its community activities have grown in popularity since it opened in mid-2010. Dalston Futures now intends to have it registered as an asset of community value under the Localism Act 2011 of Communities Secretary Eric Pickles. * Backstory: Birth of a people’s garden; New Kingsland centre, High-rise may replace Kingsland centre, Cycle route to start at Dalston mural, Big money makes its move and Boris buys Dalston a garden . 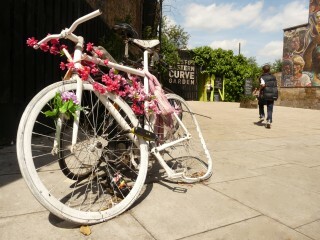 The ghost bike pictured here commemorates Daniel Cox, who died at the nearby Dalston junction.